VIP South Beach will create your ultimate nightlife itinerary & nightclub package with the best South Beach Miami nightclubs. Our best seller is our South Beach Miami Nightclub Party Package that includes a 2 hour open bar at a trendy lounge, limo transfer from the open bar lounge to the nightclub, hosted no wait nightclub entry and comped admission to South Beaches best and hardest to get into clubs. The Nightclub Party Package ticket prices vary depending on the nightclub and the event. The party packages start at $55.00 for girls and $85.00 for guys and ticket prices can change especially on the weekends for Liv nightclub and Story nightclub depending the nightclub special events. If you want a table at the nightclub the bottle service option is the way to go. At the nightclub you would have to order a certain number of bottles which depend on the group size. We will work within your specific budget and find the right club for you. You would have your own table and waitress at the club. Fill out our Contact Form below or call or email us today at 305-804-5071 and let VIP South Beach formulate your night by night itinerary for your ultimate South Beach experience! 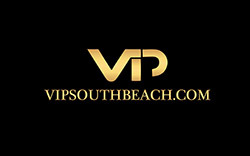 Contact us NOW and let VIP South Beach BE YOUR GUIDE!